Welcome home to this expansive estate home. 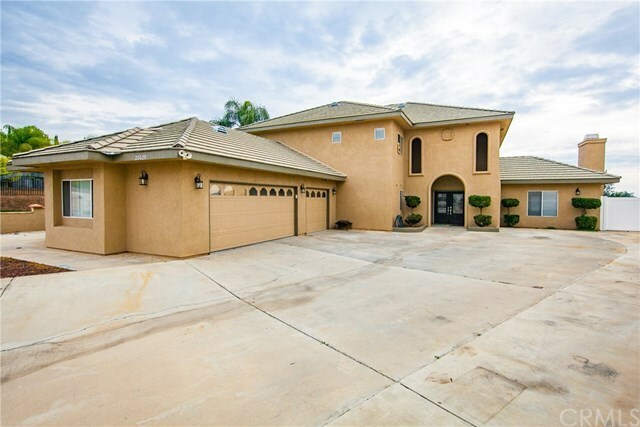 Located in one of the most desirable north side neighborhoods in Moreno Valley this big beautiful home will not disappoint. Boasting huge open living spaces, an enormous master suite retreat with spa like bathroom and Dual walk-in closets, five additional bedrooms (two with en-suite bathrooms), this home is perfect for a growing family or generational living. Upgrades include granite countertops, crown molding, newer carpet and interior paint, tons of storage space and million dollar views. Situated on a private cul de sac street, the almost half acre lot has multiple RV parking and space for all your toys. Schedule your appointment today to see this spectacular home. Directions: Off Ironwood to Lasselle St. and right on Chateau Ct.